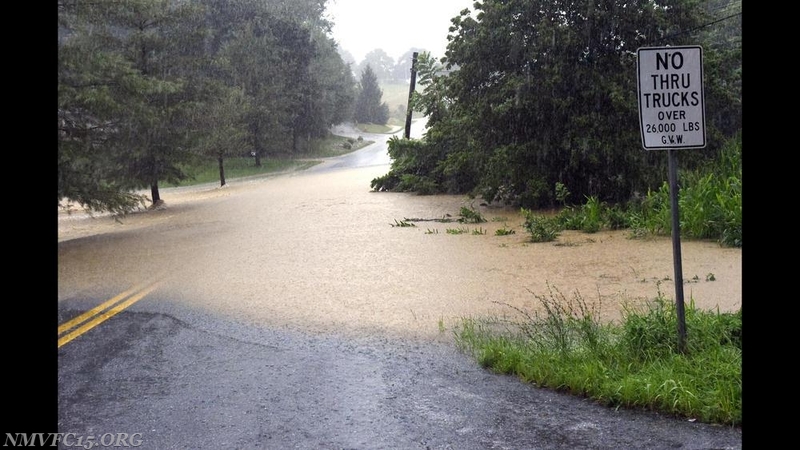 On Wednesday, July 25th, heavy rains pounded the region, and in particular caused major small stream flooding in Westminster, MD. 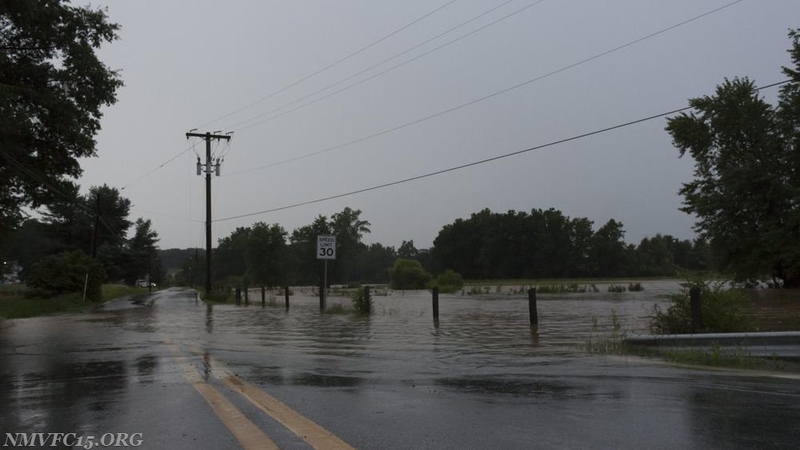 Carroll County departments were quickly overwhelmed with the number of water rescue calls they were receiving for vehicles and residents stranded in floodwater. At 2005 hours Boat 15 was alerted to respond to Old Manchester Road in Westminster for the water rescue. Utility 15 and Boat 15 (Capt. Thews) responded with 5 volunteers. The units were placed in service while enroute and subsequently sent to other water rescue calls, but placed in service before arriving at any of them. The units were then transferred to Carroll County Station 14 in Winfield. A short time later Utility and Boat 15 responded to two separate water rescues in New Windsor. On Sams Creek Road, swift water crews from Co. 15 deployed to investigate a vehicle in high water. By the time crews arrived a good Samaritan had assisted the citizen out of the water. Crews cleared the call around 2230 hours. While Boat 15 and Utility 15 were staying busy on calls, crews back in New Market worked quickly to acquire a second boat from the Frederick County training academy for use on additional responses. At 2159 hours, Car 15, Boat 27 (FC Nalborczyk), and Rescue Squad 15 (AFC Bowles) were alerted to transfer to Carroll Station 14 in Winfield, and did so with four swift water technicians. Crews were left at the fire station for the ambulance and engine company. The units arrived at Carroll Station 14 and did not respond to any calls for service before returning to New Market along with Utility and Boat 15.